Malt + Pepper continue their rise with a one week pop-up in Bethnal Green in collatoration with the Redchurch Brewery, featuring food cooked in Redchurch's beers. Dishes include Pulled Duck Dirty Fries with Soured Plum Ketchup, and the M+P x Redchurch Burger with Redchurch Spent Grain Bun, caramelised onion (w/ Hoxton stout), beef patty, beer candied bacon/ It's open from Monday 5th - Sunday 11th February - I think (& hope) this one is going to be crazy busy! "Since the end of December, we've been working away behind the scenes to create a UK first, and our most ambitious project yet. For one week only, we're taking over an Arch in Cambridge Heath and working with the guys from Redchurch Brewery, located just a few yards away. Our menu will be created exclusively with beers brewed and supplied by Redchurch Brewery and our draught beer and bottle offer will also come the Bethnal Green based brewery. We'll open the doors on Monday, 5th February @ 5pm and then open from lunch through to dinner from Tuesday - Sunday. 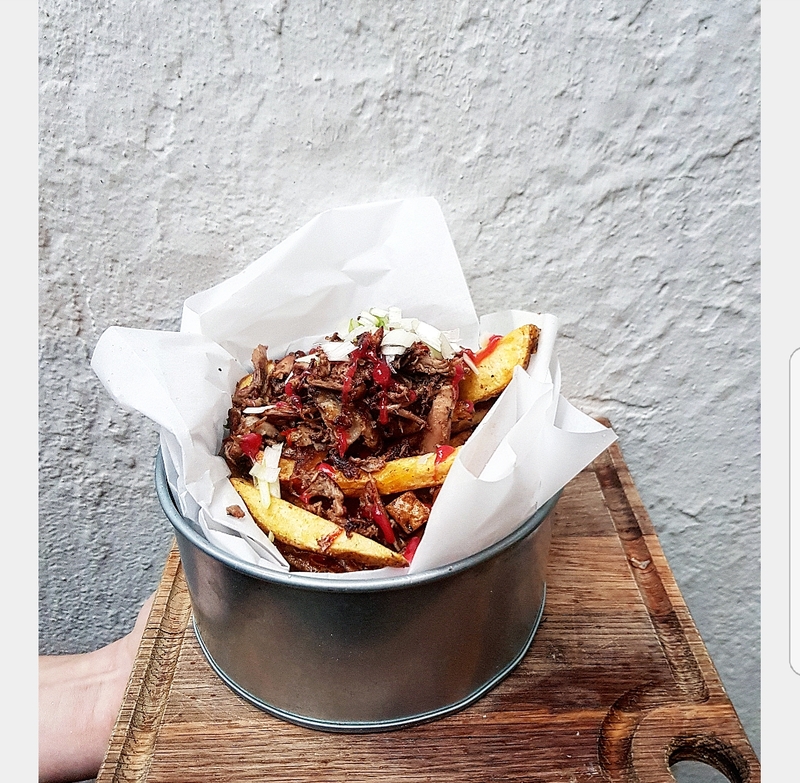 We're excited to have the opportunity to showcase our food in East London for the first time and experiment with both Redchurch's awesome core range along with the expansive Urban Farmhouse specials."